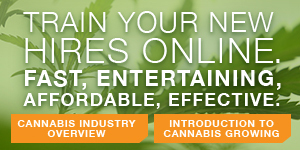 Some of the most successful dispensaries and recreational cannabis stores are family-owned and operated. Family bonds and team coordination have propelled these businesses to the top of the product distribution chain. States don’t have laws against companies hiring family members. As long as relatives are at least 21, pass the background check, become licensed and meet other legal requirements, they should be ready to serve as your employees. Favoritism: This is probably the biggest issue. 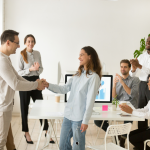 Non-family employees may perceive that there’s favoritism toward family (even when there isn’t) especially when it comes to raises, promotions or disciplinary action. To prevent the appearance of favoritism, have an employee handbook that spells out responsibilities and duties for every position. Also, if your family member is new to the industry or to their position, consider hiring them as a trainee, with the same pay grade and requirements for any other employee at that level. Theft: State regulations require you to report theft of product, contacting the local authorities and recording loss of merchandise in the inventory tracking system. But some family members may be tempted to steal if they think you won’t press charges for the sake of the family’s reputation. On the other hand, if you know your relative would never steal, that person might be preferred over an unknown non-relative. This is especially true in sensitive positions where theft can be committed more easily (such as with checking inventory or balancing finances). Information access: Some family employees may have inside information on your company; if this information leaks out, it could complicate your life both inside and outside the business. On the other hand, asking family to keep an eye on day-to-day operations, especially when you can’t, can be to your benefit. Family members who work in areas or departments where you’re rarely present (such as in a grow warehouse or in the bud room) can provide background on what other employees are doing when you’re not around. Emotions: Hurt feeling will be involved in certain situations, such as if you must let one of your family employees go. This can sour relations among you and your relatives for years. On the other hand, as with some of the other issues we’ve mentioned, a relative may be more understanding: If you must terminate someone at a time of suddenly reduced budgets, a family member might be more apt to volunteer leaving. 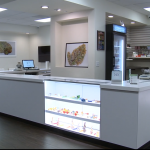 In the end, no family-owned dispensary relies entirely on relatives. Even the most successful businesses employ legions of workers who are just as essential as the family itself. So, work with those people whom you trust and who work well with you even if they happen to be family. � 2017 CAN Performance Group, LLC. All rights reserved.